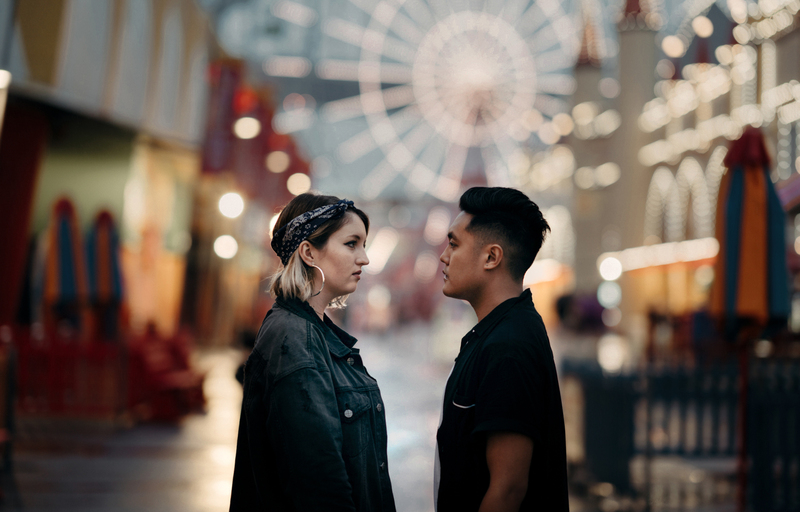 We’re partnering for the second time with Sydney duo Maari, this time to premiere their addictive new pop single ‘That Summer’. To be released digitally tomorrow, the track is the pair’s fourth since joining forces; combining to hone their pop powers for good. “‘That Summer’ explores our deepest need for love, affection and validation whilst tackling the guilt and pain of a dying love,” the band explains. And though the lyrical content may point to sadness and despair, ‘That Summer’ overflows with licks, synths and deliciously likeable pop hooks. We love each and every one of them. It’s the second time that we’ve hosted a premiere with the duo (Bronte Maree and Kabusii), after we debuted their video for a previous track of theirs called ‘HeartBreaker’ early last year. So without further ado… take a listen to the new Maari single ‘That Summer’ below. And look for it landing at your favourite digital service provider tomorrow.